I am planting my garden for the summer time and wondered if you could tell me if there are any plants or flowers I should avoid with young children and pets? A very good question as there is a range of garden plants that are considered poisonous, especially if ingested. Luckily, poisonings and deaths from garden plants are rare, as most poisonous plants taste unpleasant and are seldom swallowed. 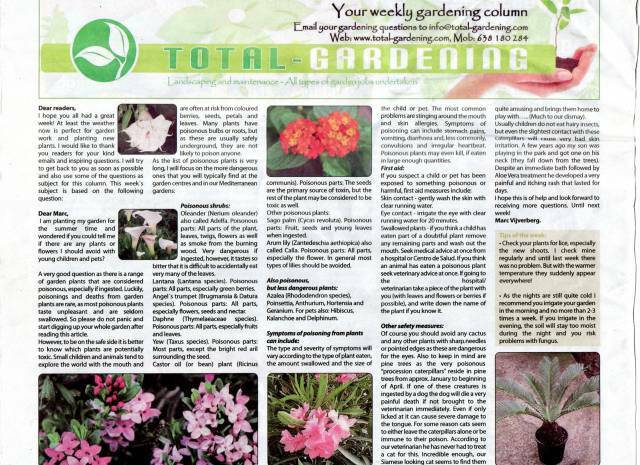 So please do not panic and start digging up your whole garden after reading this article. However, to be on the safe side it is better to know which plants are potentially toxic. Small children and animals tend to explore the world with the mouth and are often at risk from coloured berries, seeds, petals and leaves. Many plants have poisonous bulbs or roots, but as these are usually safely underground, they are not likely to poison anyone. 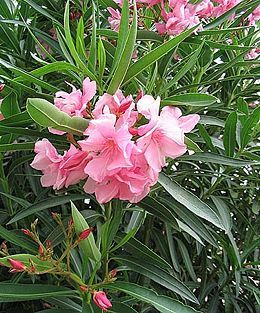 Oleander (Nerium oleander) also called Adelfa. Poisonous parts: All parts of the plant, leaves, twigs, flowers as well as smoke from the burning wood. Very dangerous if ingested, however, it tastes so bitter that it is difficult to accidentally eat very many of the leaves. 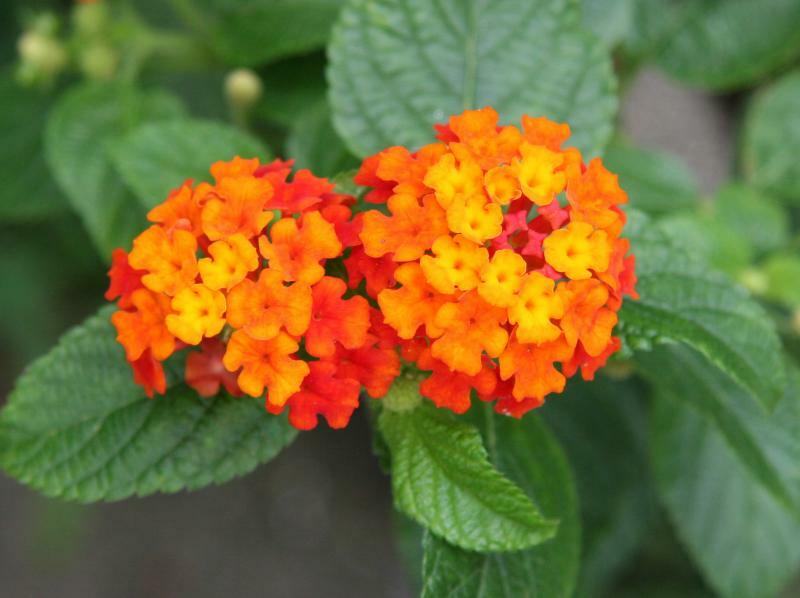 Lantana (Lantana species). Poisonous parts: All parts, especially green berries. Angel�s trumpet (Brugmansia & Datura species). Poisonous parts: All parts, especially flowers, seeds and nectar. Poisonous parts: All parts, especially fruits and leaves. Yew (Taxus species). Poisonous parts: Most parts, except the bright red aril surrounding the seed. Castor oil (or bean) plant (Ricinus communis). Poisonous parts: The seeds are the primary source of toxin, but the rest of the plant may be considered to be toxic as well. 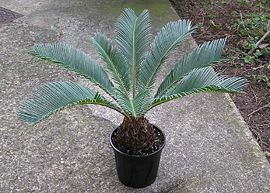 Sago palm (Cycas revoluta). Poisonous parts: Fruit, seeds and young leaves when ingested. Arum lily (Zantedeschia aethiopica) also called Calla. Poisonous parts: All parts, es pecially the flower. 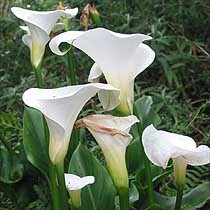 In general most types of lilies should be avoided. Azalea (Rhododendron species), Poinsettia, Anthurium, Hortensia and Geranium. For pets also: Hibiscus, Kalanchoe and Delphinum. The type and severity of symptoms will vary according to the type of plant eaten, the amount swallowed and the size of the child or pet. The most common problems are stinging around the mouth and skin allergies. Symptoms of poisoning can include stomach pains, vomiting, diarrhoea and, less commonly, convulsions and irregular heartbeat. 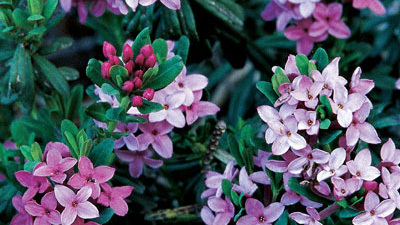 Poisonous plants may even kill, if eaten in large enough quantities. First aid: If you suspect a child or pet has been exposed to something poisonous or harmful, first aid measures include: Skin contact - gently wash the skin with clear running water. Eye contact - irrigate the eye with clear running water for 20 minutes. Swallowed plants - if you think a child has eaten part of a doubtful plant remove any remaining parts and wash out the mouth. Seek medical advice at once from a hospital or Centro de Salud. If you think an animal has eaten a poisonous plant seek veterinary advice at once. If going to the hospital/ veterinarian take a piece of the plant with you (with leaves and flowers or berries if possible), and write down the name of the plant if you know it. Of course you should avoid any cactus and any other plants with sharp needles or pointed edges as these are dangerous for the eyes. Also to keep in mind are pine trees as the very poisonous �procession caterpillars� reside in pine trees from approx. January to beginning of April. If one of these creatures is ingested by a dog the dog will die a very painful death if not brought to the veterinarian immediately. Even if only licked at it can cause severe damage to the tongue. For some reason cats seem to either leave the caterpillars alone or be immune to their poison. According to our veterinarian he has never had to treat a cat for this. Incredible enough, our Siamese looking cat seems to find them quite amusing and brings them home to play with�.. ( Much to our dismay). Usually children do not eat hairy insects, but even the slightest contact with these caterpillars will cause very bad skin irritation. A few years ago my son was playing in the park and got one on his neck (they fall down from the trees). Despite an immediate bath followed by Aloe Vera treatment he developed a very painful and itching rash that lasted for days. I hope this is of help and look forward to receiving more questions. Until next week! � Check your plants for lice, especially the new shoots. I check mine regularly and until last week there was no problem. But with the warmer temperature they suddenly appear everywhere! � As the nights are still quite cold I recommend you irrigate your garden in the morning and no more than 2-3 times a week. If you irrigate in the evening, the soil will stay too moist during the night and you risk problems with fungus.